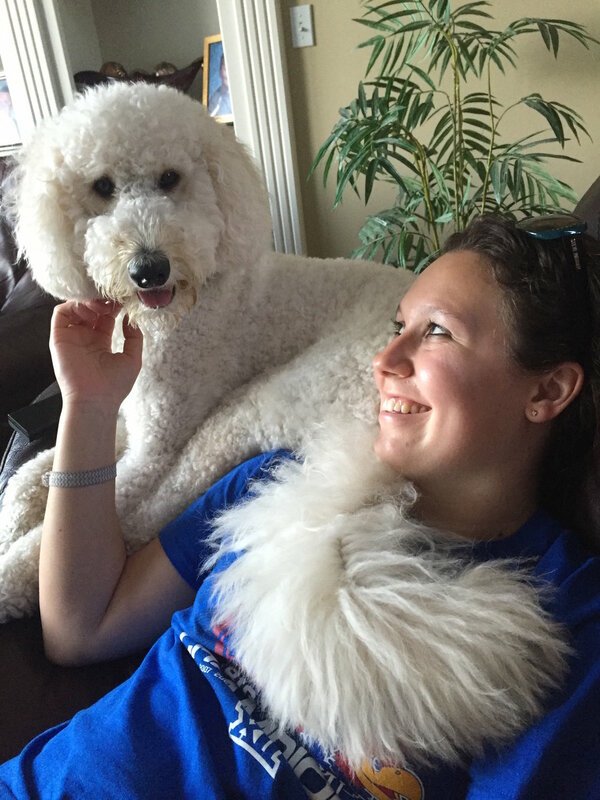 Lauren, owner of Lucky Dog, has been a dog walker and animal lover alike for over 20 years. Lauren was raised in Southern Oregon and attended Southern Oregon University where she earned her Bachelor’s degree in marketing. Her work brought her to the Midwest where she fell in love with Kansas City. Lauren now calls Kansas City her home. Some of Lauren’s favorite activities include going to the dog park, dog walking, hiking, exercising, snowboarding, scuba diving, and traveling. Lauren was inspired by her dog Simon to start the business venture of Lucky Dog. She often found herself travelling and working long days, and was unable to give her little buddy all of the attention he needed and deserved. She decided to offer a solution to pet owners – a convenient and quality pet care service that promises to love and care for your pets just the way you do. So, what can you expect when trusting Lucky Dog with your pets? You will receive adorable photos and updates of your furry loved ones. You will also enjoy the peace of mind knowing that when using Lucky Dog, a trusted and experienced dog walker or pet sitter will be at your home, on time, every time! Here at Lucky Dog, we understand that all pets are unique in character, and we tailor our services to meet your needs and your pet's needs. 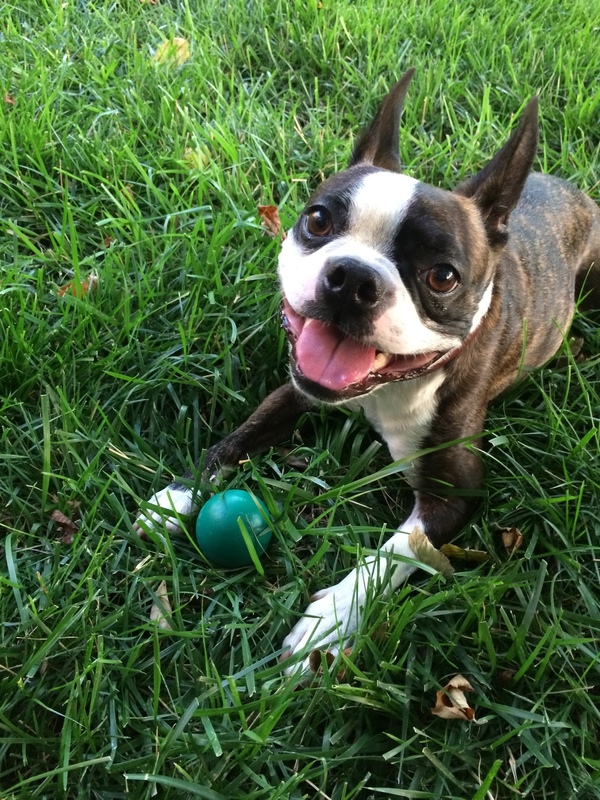 Simon, the inspiration for Lucky Dog, is a handsome, energetic, and fun-loving 10 year old Boston Terrier. Some of Simon’s favorite activities include going to the dog park, peeing on everything (outside only! ), eating treats, playing fetch, napping with his humans and rolling down the car windows. Meet Our Walkers & Sitters! Click or hover over their photo to learn a little more about them. “Every animal has it’s own unique personality and I love that I get to see it and cater to their individual needs." "I enjoy caring for pets because they are always so happy to see you, and I enjoy spending time with them to develop a bond." "I'm a life-long animal lover and can't remember a time that I didn't have critter family members. Walking dogs is my favorite exercise and I always jump at the chance to pet sit for friends, so a job doing the things I love the most doesn't feel like work!" "Getting to know each pet and developing a bond with them over time is the best part of my job. It's so rewarding to see such happy animals every day!" "I love getting to know each pet that I meet. Every pet I care for has such a different personality, and I look forward to spending time with them each day!" "I've always had pets, so they have been a huge part of my life. It's awesome that I can spend my days working with them, and it's a bonus to also get some good exercise while out dog walking!"